Bought four of these beauties from the treasure trove that is the SPCA Charity shop. 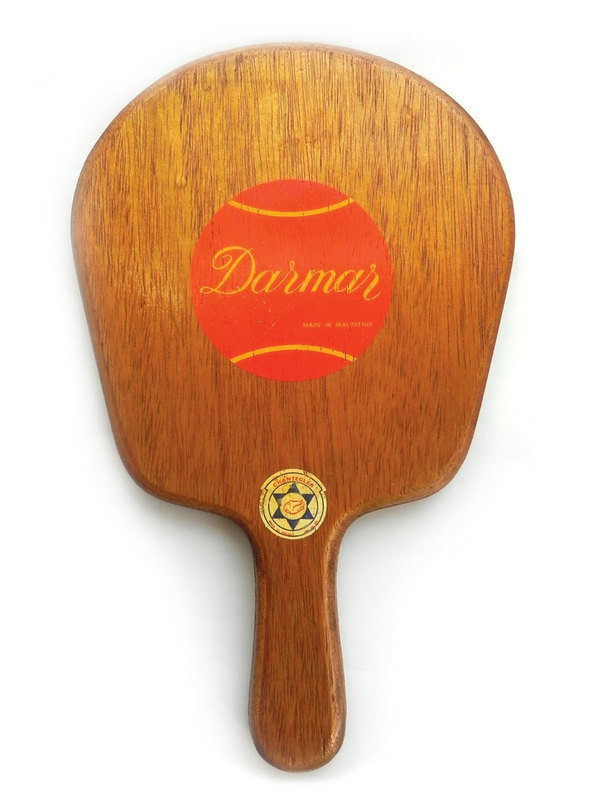 Because of the ball logo and Made in Mauritius I originally thought they were beach bats. But they are much too weighty for any kind of sandy frolics, could lay out a burglar in one swat and would result in a kaleidoscope bruise if one got saucy with them....blush. Turns out Chantecler is both the name of a breed of chicken and a poultry company based in Mauritius with the slogan "Sa ki bon sa!" which loosely translates to "This is good, this!" Shaver Starcross another breed of chicken/brand. Was unable to turn up any info on the Darmar logo on the back. 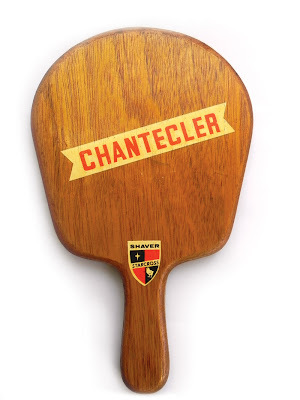 As the Chantecler logo is very different from the present day label I am assuming that these paddles could be anywhere up to 40 years old and still in such mint condition. Display or use everyday oooh a conundrum! Lovely find! Display def when not in use. Best of both worlds? !